BOSTON--(BUSINESS WIRE)--Karuna Pharmaceuticals, Inc. (“Karuna”), focused on targeting muscarinic cholinergic receptors for the treatment of neuropsychiatric disorders marked by psychosis and cognitive impairment, today announced the appointment of industry leader Jeff Jonas, M.D., CEO of Sage Therapeutics (NASDAQ: SAGE), as an independent member of its Board of Directors. 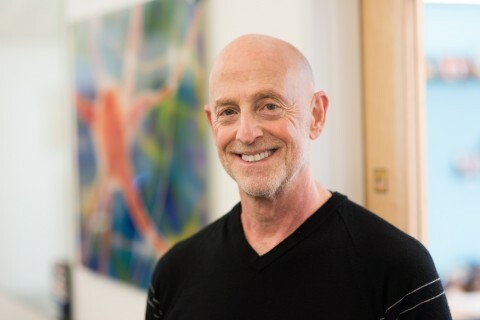 Dr. Jonas brings more than 20 years of scientific and business experience in both the pharmaceutical and healthcare industries, with expertise in the field of central nervous system (CNS) disorders and neuropsychiatric drugs. Dr. Jonas is the Chief Executive Officer and a member of the Board of Directors at Sage Therapeutics. Before joining Sage, Dr. Jonas served as President of the Regenerative Medicine Division of Shire plc and previously as Senior Vice President of Research and Development, Pharmaceuticals at Shire. Prior to Shire, he served as the Executive Vice President of ISIS Pharmaceuticals, as the Chief Medical Officer and Executive Vice President of Forest Laboratories, Inc. and in senior-level positions at Upjohn Laboratories. He has published more than 70 scientific papers and chapters, authored more than 100 books, scientific articles and abstracts, and has received numerous awards. Dr. Jonas received his B.A. from Amherst College and M.D. from Harvard Medical School. He completed a residency in psychiatry at Harvard and then served as Chief Resident in psychopharmacology at McLean Hospital, Harvard Medical School. Karuna is a clinical-stage drug development company targeting muscarinic cholinergic receptors for the treatment of psychosis and cognitive impairment across central nervous system (CNS) disorders, including schizophrenia and Alzheimer’s disease, as well as pain. Karuna's lead product candidate, KarXT, (Karuna-Xanomeline-Trospium) is being evaluated in a Phase 2 study in people with schizophrenia, with top-line results anticipated at the end of 2019. Karuna, which was founded by PureTech Health (LSE: PRTC), has a worldwide exclusive license for xanomeline and has a patent portfolio more broadly covering selective muscarinic targeting enabled by the KarXT approach. For more information, visit www.karunapharma.com.